When working in a sensitive environment, it is critical to use the right equipment. Your first priority should always be preserving the quality of the environment surrounding your workspace, as environmental stability can make or break any number of critical mission functions. For this reason, it is worth taking a little time to understand which air sampling devices will deliver minimal environmental interference in your workflows. In addition to comparing and contrasting each microbial air sampler’s features list, you may want to pay special attention to specific undesirable traits that can negatively impact your workspace. Unfiltered exhaust, for example, can compromise the air surrounding the sampler. 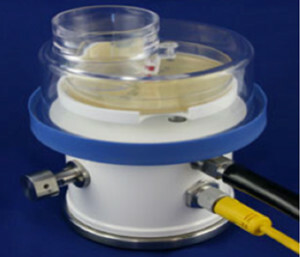 Various issues to watch out for include: Generation of particles (shedding of materials by a device), Laminar airflow disruption (due to unit size, or shape), harboring or shedding microbial contaminants (due to the inability to completely sanitize a device), oversized devices that are difficult to place, or sample volumes being exhausted at the test location. Any one of these issues can create serious problems. There are a few ideal traits to identify when it comes to air sampling devices. Remote operation, for example, enables greater control over a microbial air sampler without actually needing to interact with it physically to start, stop, or pause a sample run. Other strong features include: HEPA filtered exhaust, simple and easy cleaning and sterilization, small size and convenient design, no airflow disruption, exhaust of sampled air volume outside of critical zones, and low to no particle generation. When you compare these features, you’ll notice that there are certain factors of air sampling equipment that go above and beyond the sampling rate of devices. In summary, selecting the appropriate air sampling device is an important step in preserving the quality of your work environment. Think carefully about your workflows and their needs, and consider all features of a microbial air sampler to ensure you receive a product that delivers what you require without compromising your environment. For more information, please visit www.emtekair.com or contact us with any questions at 877.850.4244. .